SMART have created a very powerful visualiser, which is completely mobile. This visualiser is one of the first in the market which is completely wireless, which has numerous benefits. 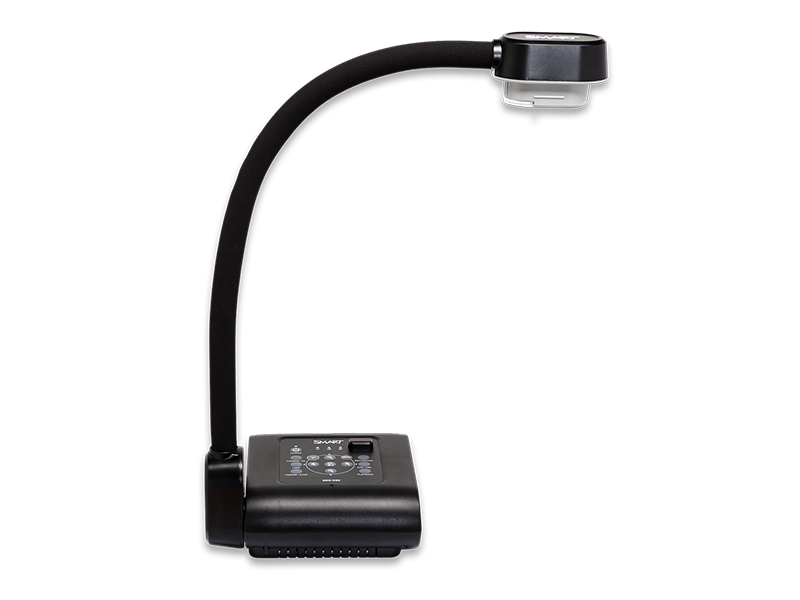 It is WiFi enabled allowing you to connect to the screen and project the image, additionally, it’s wireless nature allows you to move around with it, giving the ability you to show different pieces of work on the touchscreen or whiteboard for everyone in the class to clearly see. It has a very impressive 6.5 hours of rechargeable battery life, allowing it to remain on, even through the entire school day without running out of charge in the middle of a lesson. This is useful as without the visualiser, there is no clear visual way to show off pieces of work for peer assessment. The rechargeable battery is superior to a visualiser which requires it to be plugged into a mains plug socket as you can move it around the room to show off work as well as being able to place it in the classroom in a place where it won’t be distracting to your pupils. This is from a camera on a Gooseneck style arm. This allows you to manipulate to any angle so you can get the most ideal viewing angle on the object which is being shown by the visualiser. This means that pupils don’t have to gather round and bunch together to look at a certain point of the object, everyone can see from their seat, with no time wasted in having everyone gather around the object. Full 1080p HD resolution brings abstract concepts to life, it is in a high quality which allows students to view the object and be able to view it as if they are holding it in their hands. This allows lesson content to be achieved without students having to pass the object around to get a good look at it. The video recording function records at an impressive 30fps which will give you a smooth running visual, with additional high quality audio, this allows the video to be replayed to classes over and over again with great quality. This means that you get to use the same lesson again for years to come. For more information on the SMART SDC 550 visualiser click here.